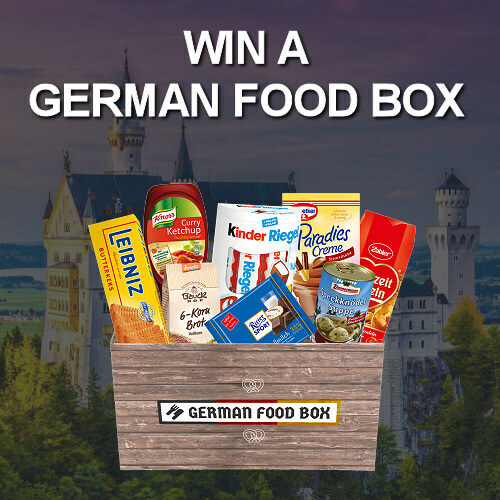 Centuries of socio-political changes in Germany refined its national cuisine. Alcoholic beverage in Germany is varied from region to region. Wine is the most popular drink along with beer. 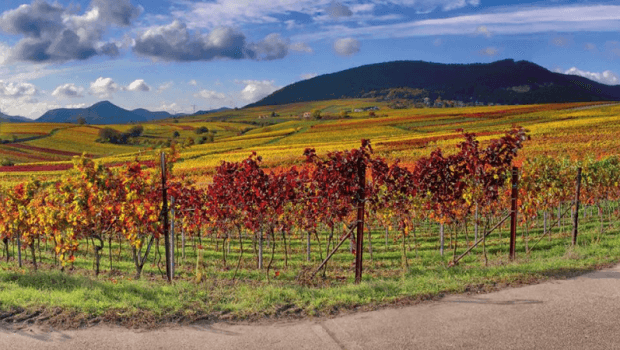 105,000 hectares of land is covered with vineyards in Germany. The lush vineyards dominating the middle and upper areas along the Rhine River and its tributaries contribute to some of the best-known varieties of wines like Riesling, Spätburgunder, Silvaner, etc. The wine history of Germany is rich and far-reaching up to two thousand years. It was not until the Romans ruled that viniculture was introduced. They adopted viticulture from the Greeks and Etruscans and were the first to plant huge vineyards in Germany. They started producing wine on a large scale. Wine presses are found along the Moselle River, the Rhine River, and in the Palatinate. The Romans were the one to associate Germany with a history of wine-making. Germany is spotted with spectacular terraces of vineyards and huge expanses of landscapes filled with grape production. German wine differs from that of other countries in its lively, light and fruity taste. Germany’s unique geographical climate and geological conditions impart a superb quality to the grapes. Wine growing regions are mainly concentrated in the southern part of the country except for Saale-Unstrut and Sachsen in the east. The moderate temperature of summer and the long growing season produce wines with low alcohol content. The many soil types and a variety of grapes contribute to the diversity of German wines. Germany’s 13 wine-growing regions are Ahr, Baden, Hessische Bergstraße, Mosel, Nahe, Pfalz, Franken, Rheingau, Rheinhessen, Mittelrhein, Saale-Unstrut, Sachsen, and Württemberg. There is a wide range of grape varieties that grow in Germany. Two dozen types of grapes that are cultivated are of commercial value. Among the most common are Riesling and Müller-Thurgau. They cover about 43% of Germany’s vineyards. Almost 11.5% of the vineyard lands are planted with Spätburgunder or Pinot Noir, which is the most important red wine grape in Germany. Some varieties of red wine grapes are Blauer Lemberger, Spätburgunder, Trollinger, Dornfelder, Portugieser, Schwarzriesling, and Domina. Germany is the world’s third largest producer of Pinot Noir from Spätburgunder grapes. This particular type of grapes is sensitive to climate and soil. It grows well in chalky soil and requires warmth. It was brought to Germany from Burgundy. In fact, the name means late (Spät) ripening Pinot (Burgundy). This grape produces velvety, very elegant wines having a distinctive bouquet similar to blackberries. German Spätburgunder has a lighter texture, color, and tannic acidity. Sometimes if they are packaged in small oak casks, they acquire more depth with higher tannin levels. Dornfelder is ripened early and produces a deep-colored wine. It was initially bred in Württemberg to serve as a blending wine to improve the pale red color. Today it is prized and enjoyed as a full-bodied fragrant and complex wine with fair tannic activity. Dornfelder earns the third place as Germany’s most popular wine grapes. It is mostly grown in the Pfalz and Rheinhessen regions. An old variety of grapes is Portugieser, which produces the second most famous wine in Germany. This grape originating in the Danube Valley yields light and easy to enjoy wines. Pfalz has the largest plantation of Portugieser followed by Rheinhessen and Ahr. Trollinger gets its name from Tirol from where it originated. It was once planted all over the country, but it is now concentrated in Württemberg only. Its wine has a pronounced acidity with a fragrant, fruity and light taste. The literal meaning of Schwarzriesling is ‘black Riesling.’ It it is not related to the Riesling rather it is an earlier-ripening variety of the Spätburgunder. The wine is deeper than Spätburgunder but lacks its complexity. Blauer Lemberger ripens late and grows on the lower stretches of the Danube River. Depending on the vinification process, the wine has a fruity or tannic flavor. They have an excellent aging potential. Vintners often blend Lemberger with Trollinger. Sparkling wine made from Lemberger grape is a real delicacy. Relatively new, Domina is a crossing between Portugieser and Spätburgunder bred in Siebeldingen in the Pfalz. Domina wines are pleasant, full-bodied and deep in color. Some varieties of white wine grapes are Riesling, Silvaner, Kerner, Bacchus, Ortega, Elbling, and Chardonnay. Riesling grows well in all types of soil even stony soil as it can subsist on a minimum of moisture. It is also frost resistant. Riesling needs extra days of sun. It ripens late and takes up to the late October to become ripe. Wine produced from Riesling are fresh, elegant, fragrant and of superb quality. It is grown all throughout the wine country of Germany. Silvaner was once the most important grape in Germany. It requires average exposure to the sun and moist soil. The variety produces full bodied neutral wine with mild acidity. It is traditional in Franken, Rheinhessen, and Saale-Unstrut but is also grown in Pfalz and Baden. Kerner acquired its name from the local poet, Justinius Kerner. It is a crossing between and Riesling and Trollinger. October is its ripening month. Fresh, fruity and racy are the features of Kerner wine. Pfalz, Rheinhessen, Württemberg and Mosel-Saar-Ruwer regions are the largest producers of Kerner. Bacchus is the Latin name of the Greek god of wine Dionysus. It is a cross-bred variety with a large yield. It produces fruity wine with a rich and aromatic bouquet. Pfalz, Rheinhessen, Franken and Nahe regions are the primary growers of Bacchus. Ortega is a crossing between Muller-Thurgau and Siegerrebe. Qualities like early ripening, rich flavor, and peachy bouquet make the variety popular. It was bred originally in Franken and grown in Pfalz, Rheinhessen, etc. Although its origin is unknown, Elbling has been grown during the Middle Ages and the 19th century in central and western Europe. It makes piquant, and light wine often used to produce sparkling wine. In Germany, this vine is grown in the Obermosel district. Chardonnay originates in the Middle East but is grown in Germany since 1991. Superior quality Chardonnay produces high alcohol content in the wine. They are often vinified in Barrique casks. The wine is characteristic of a long finish and aromatic. Wine-making consist of a number of processes. New developments in technology have significantly advanced the steps before a finished wine bottle reaches a customer and improved the quality as well. A wine grower has various responsibilities to tend to a wine grape vine. Pruning and training the vines, soil care, foliage treatment, harvesting should be done carefully to yield good quality grapes. The number and lengths of canes and shoots of the vines are essential to achieving good results. Vine pruning now is mechanically done, and the chopped parts are mixed with the soil and forms humus. Springtime is a peak for vineyard work. This is the time when the plants take shape. Accurate bending and tying of canes are required to ensure that adequate nutrients reach the buds. Organic nutrients like manure, straw and compost are added to the soil. The plants blossom in June. This follows another laborious stage. Healthy green foliage is maintained for assimilation in the leaves. Depending on the climate, harvesting seasons falls within September. A refractometer is used to measure the ripeness of the fruit. The growers decide on the appropriate time for fruit picking. Wine is made from the complete or partial fermentation of fresh or crushed wine grapes or grape must. After picking, the grapes are loaded into a pressing station. For producing white wine, the grapes are pressed very gently or destemmed. The thick liquid that is produced through this process is called the must. For the production of red wine two processes are involved. The first one is fermentation with the skins. In this method, the skins of the fruits are left in the must to impart a certain color and acidity to the wine. The other process involves thermal treatment in which the juice is heated to get the preferred color. Usually, a combination of the two processes is used to yield the desired result. The very last process is aging. The liquid is stored in a cask or bottle to better the quality of the wine. High-quality wines have longer aging process. Young and fresh wine is also preferred. White wines are generally sold after minimum aging while red wines are allowed to age for a considerable amount of time.